He is a doctor but realizing later his hidden talent is become a comedian. His admiration local comedian is Harith Iskandar and Douglas Lim. He made a comedy advertisement related to sore throat medicine product. Besides, he also did stand-up comedian. His joke mostly in English language. Godfather of stand-up comedian in Malaysia. One of the earliest Malaysian venturing in stand-up comedian business. He discovered his talent when one of his friend decided to invite him for a speech on stage at a party. After that show, there were people started sending invitation to him for a comedy talk in corporate parties. He joke in English language. Zizan Razak is a popular actor and TV host. He is consider as a funny person. He does not do stand-up comedy show. But, he is well known for his humorous acting. His joke mostly in Malay language. A member of popular group "Senario" . He often dress in a traditional China wear in one of the show "Melodi". He joke using Malay language. Senario received prestigious award in an award show Anugerah Lawak Warna. However, he seem to be inactive after his group were seem to be disbanded due to the show "Senario" has been redundant. A successful stand-up comedian in Malay language. He is an actor, comedian and singer. 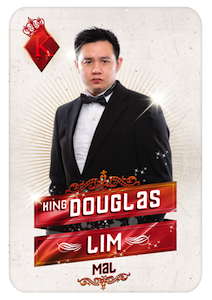 A champion in TV show "Raja Lawak Season 2" which give him a nickname of "Raja Lawak Nabil" which translated in English as "Nabil King of laughter". He is one of the successful comedian. His joke mostly in English. His joke is funny as much as Harith Iskandar and Jason Leong. He is pretty well versed in joking related in many cultures and talkative person. I believe that his joke carrier is as successful as Canadian comedian Russell Peters. He seem to have more than 1 million fans in his Facebook page. He is a writer, director and actor. Presence in many comedy shows. He is the founder of "Spontan" TV show. He is likened to Zizan Razak and he not really a stand-up comedian more of a celebrities in entertainment industry. His joke is all in Malay language. He is one of comedian with the title Raja Lawak due to winning on Raja Lawak TV show. Besides, he is talented actor actively involving in big movie. He starred in Adnan Sempit Sawadikap the movie released in year 2014. Johan a stage name for him real name is Yazid Lim is a popular TV host and comedian. One of the champion in "Maharaja Lawak" TV host entitled him to be called as Raja Lawak Johan or in English translated as Johan King of laughter. He defeated all other comedians to be the most popular comedian in Malaysia in the year of 2012.